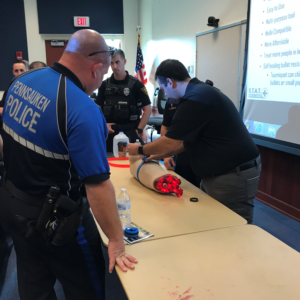 Over 2000 Camden County police officers were provided life-saving tourniquets this morning by the Camden County Prosecutor’s Office. The tourniquets, which were paid for from forfeiture funds, are designed for pediatric as well as adult use. The devices also have a built-in self-counting timer that allows medical professionals to know when the tourniquet was applied. 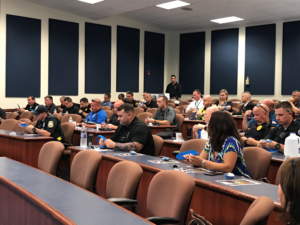 Before receiving the tourniquets, a representative from each municipal police department attended a live demonstration from the manufacturer which taught them how to properly apply and use the devices. 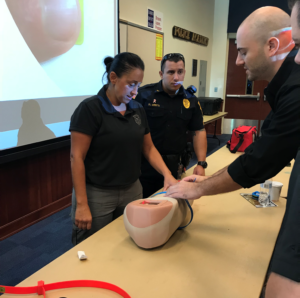 Tourniquets are designed to control potentially life-threatening bleeding long enough for an injured individual to receive proper medical treatment. 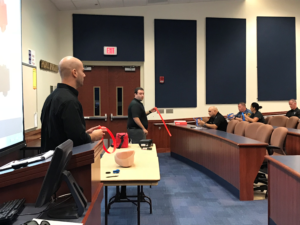 The tourniquets provided to the Camden County municipal police departments can attached to an officer’s belt or kept in a first aid kit inside of the officer’s patrol vehicle. Released Tuesday, October 2, 2018.